We attended a talk by Oliver Heath Design – an architectural and interior design practice. They use the science and style of biophilic design by improving the human connection with nature. The benefits of optimising daylight in classrooms can increase the speed of learning by 25%, improve attendance by an average of 3.5% per year and improve test results up to 14% – Analysis of The Performance of Students In Day-lit Schools (Niklas Bailey 1996). Biophilic design in hospitals reduced stays by 8.5% and reduced post-operative medication by 22% Oliver Heath human spaces. 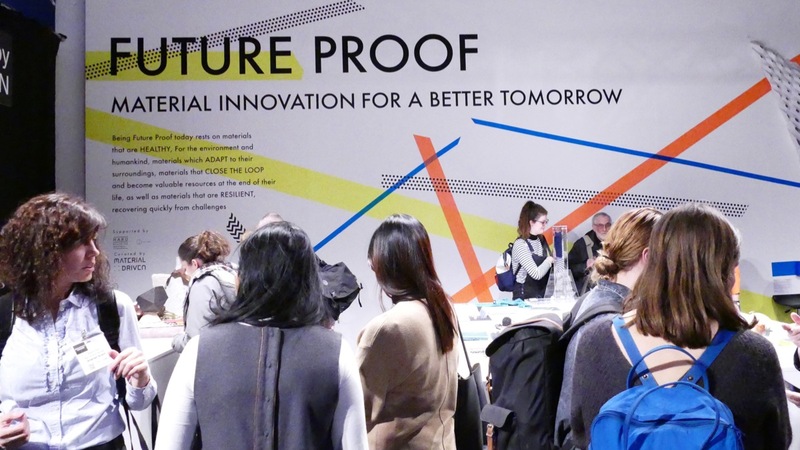 Future Proof gives a bright light in the era of post industrialism issues we are experiencing in the world right now. Today’s problems become tomorrow’s possibilities. 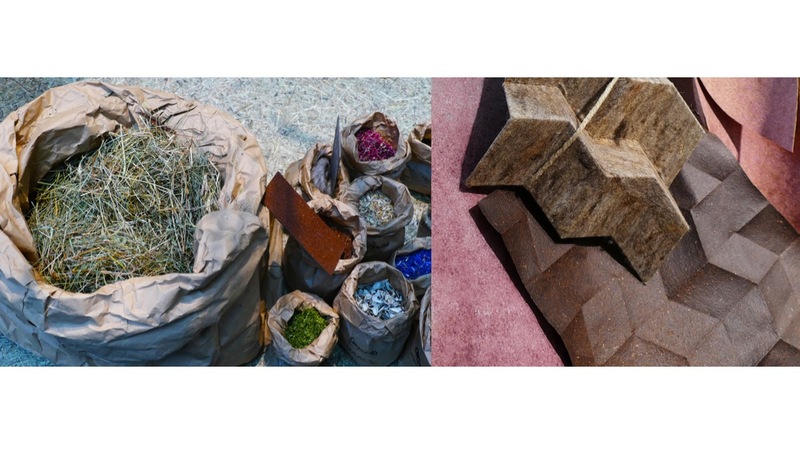 Turning air pollution into design products for everyday use. Future trends predict less conservatism and a more flexible approach for next year in colour and material wise. Is this something that we will see in politics and economics with lightness and sense of community? 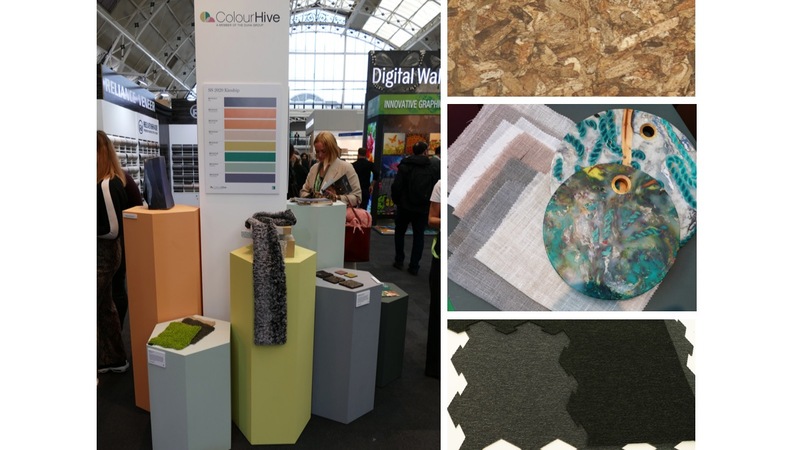 At Surface Design show trend magazine Colour Hive presented The Trend Cluster future trends for Spring and Summer 2020 Kinship Care & Share, examining ideas about flexibility and the importance of community. Kinship rejects traditional values in favour of freedom and sharing. The Greek company PHEE is using the dead leaf of the vascular sea plants that are annually washed up in abundance on the Mediterranean shores and disposed as waste. 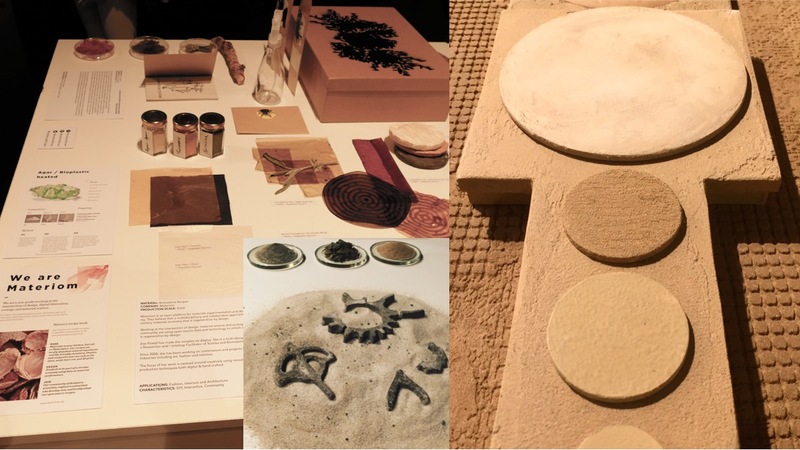 PHEE-board is a flat panel made from the leaves of seagrass Posidonia Oceanica and biological resin. Dutch product SEA gives a new life to plastic litter that’s collected from ocean beaches. LockTiles is a carpet tile shape with laser cut edges – this means that the edges interlock around each other and always will fit together in all directions. A material driven design that is healthy for the environment and humankind. Wildspitze Organoid is a good example of materials that engage with our senses. It is naturally scented alpine-hay and herbs from the Tyrolean Alps. Hand-cut, customised for smell, touch and vision. The big challenge is not to elaborate alone in field of expertise, Penicillin was mould that became a lifesaving medicine, while blue mould became a delicious cheese. (Kinship rejects traditional values in favour of freedom and sharing). 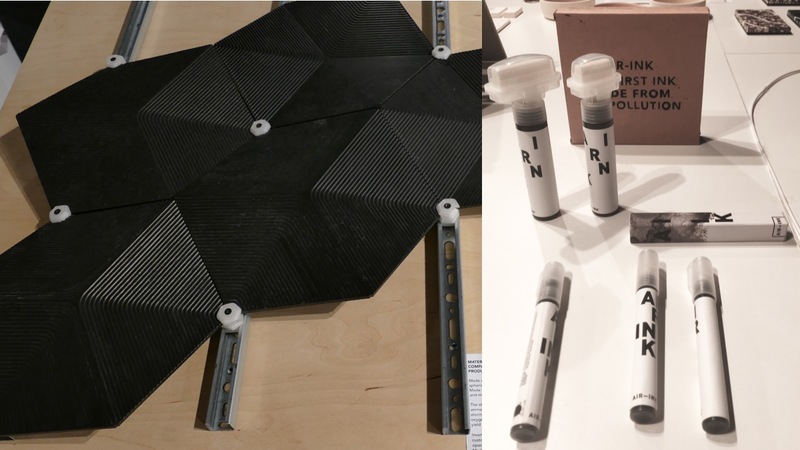 The second challenge is implementing a brilliant biomimicry into a reality, from small scale in the lab or design studio into large scale production. 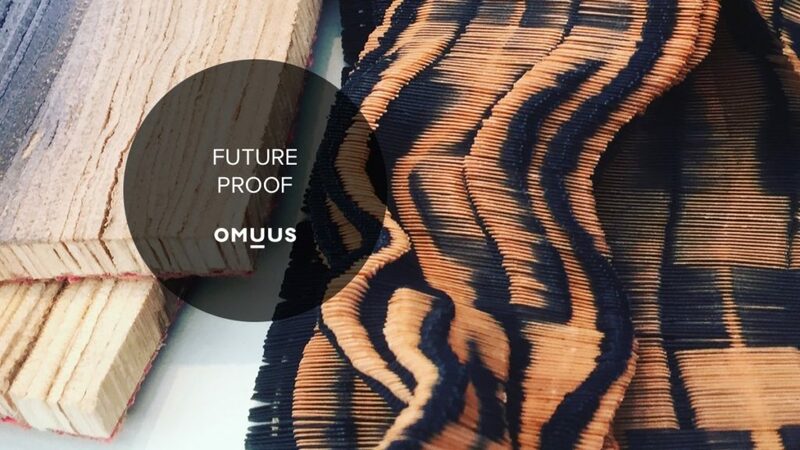 Omuus will keep following these areas of design in future blogs. We want to thank Per Boicel for his report from Future Proof and Material Driven Design at Surface design and Architect@Work.